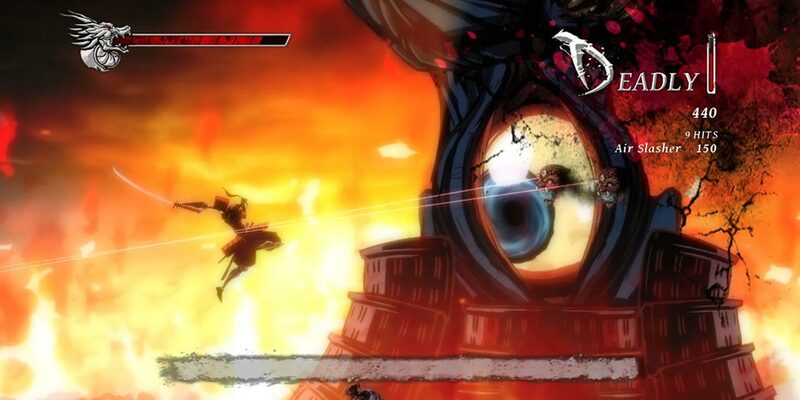 Onikira: Demon Killer takes the deep fighting mechanics of some of the most amazing 3D beat ‘em ups, like Devil May Cry or Bayonetta, and merges them with classic 2D platformer mechanics in a way that has never been done before. For example, launch an enemy into the air, wall jump to position yourself above them, then Katana Slam them into the ground. Switch to the Naginata and use the Naginata Lift and air dash moves to stay in the air and off crumbling platforms, while pulling enemies up to you to be dispatched in mid-air. Whip out your grappling hook to grapple between platforms, across chasms or fiery pits, all the while fending off enemies. My tasks were to re-balance the combat damage and the difficulty of enemy encounters, help re-write the game’s story and suggest new versions of enemies in order to increase variety.